Jackson Landscaping provides ongoing maintenance services allowing your outdoor living spaces to thrive and maintain beauty. We understand the ongoing changes due to seasons, age, etc. and stand ready to improve and maintain all aspects of your landscaping. Correct methods of care and horticulture are essential. 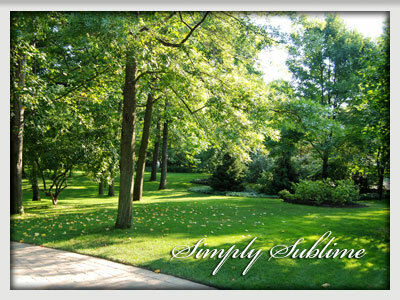 Our staff is trained in the correct methods of care and take pride in making your landscaping look its very best. In addition to ornamental trees & shrubs, the right ornamental accessories such as brick walkways or stone paths can also enhance curb appeal. Jackson Landscaping handles all your basic and complex landscaping needs. Seasonal color emphasizes focal points and brings the changing beauty of each season. Jackson Landscaping will handle the how, when, and what to plant to make your property stand out in Spring, Summer, Fall, and Winter. Proper fertilization, weed and pest management is essential to the success of any lawn or garden. The Jackson Landscaping team is experienced in handling even the unseen pests that can destroy your investment. A healthy landscape is a happy landscape. For all of your landscape design, installation, maintenance, turf care, snowplowing, lighting, irrigation and pruning needs in Lake Bluff, Lake Forest, Evanston, Deerfield, Bannockburn, Riverwoods, Highland Park, Glencoe, Winnetka, Willmette, Libertyville, Long Grove.